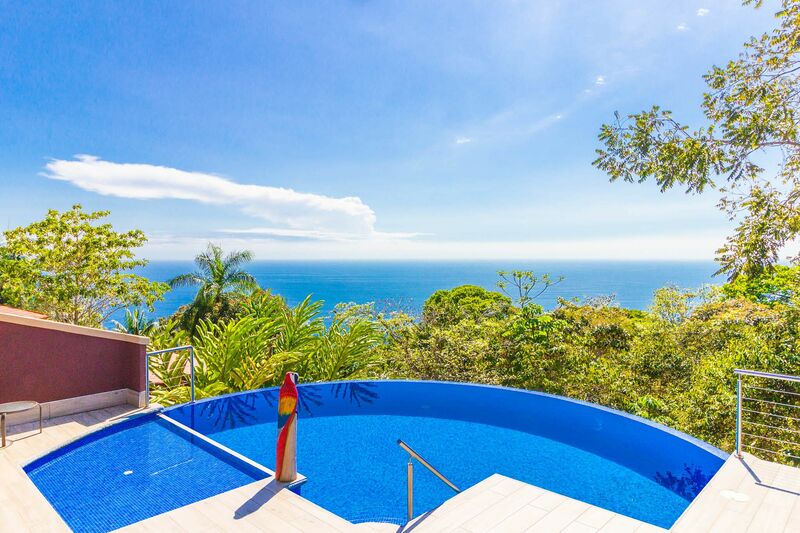 0.59 ACRES – 3 Bedroom Luxury Ocean View Home With Pool In Desirable Neighborhood!!!! 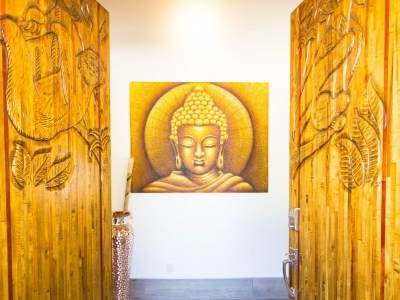 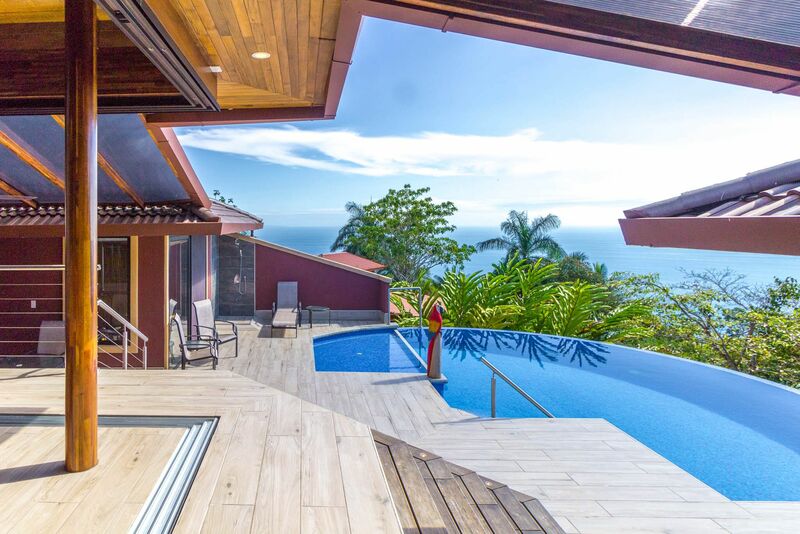 But the 4,000-square foot house itself is stunning, as well. 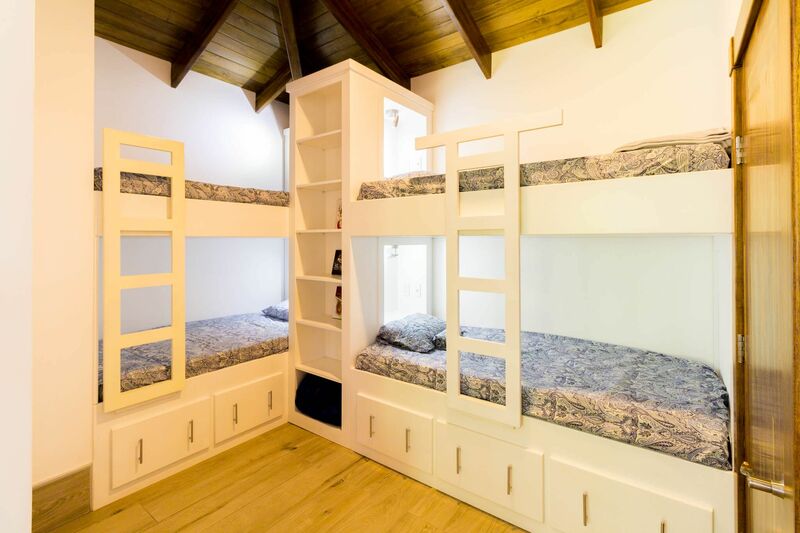 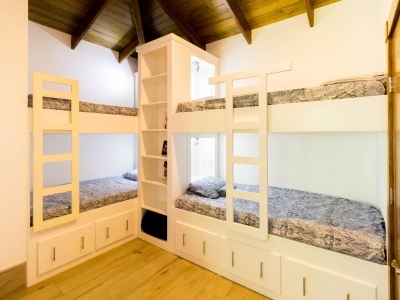 The unique design, painstakingly designed by a North American builder, includes a main open-concept living/kitchen/dining area, with a separate nook with bunk beds that kids are sure to love! 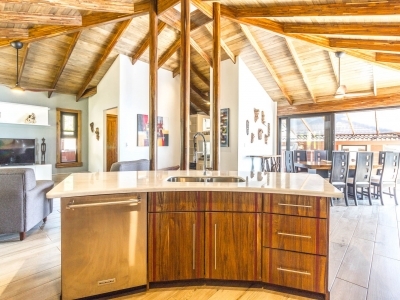 The gourmet kitchen has high-end stainless-steel appliances, including a five-burner gas stove and cooktop, dishwasher, microwave, and refrigerator. 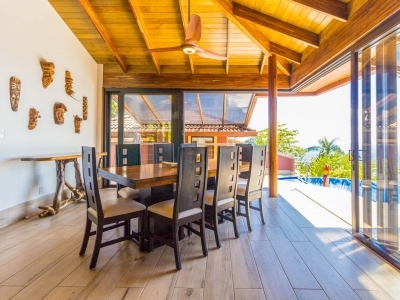 A beautiful custom-made wooden dining table seats eight and has a prime view of the ocean and sunsets! 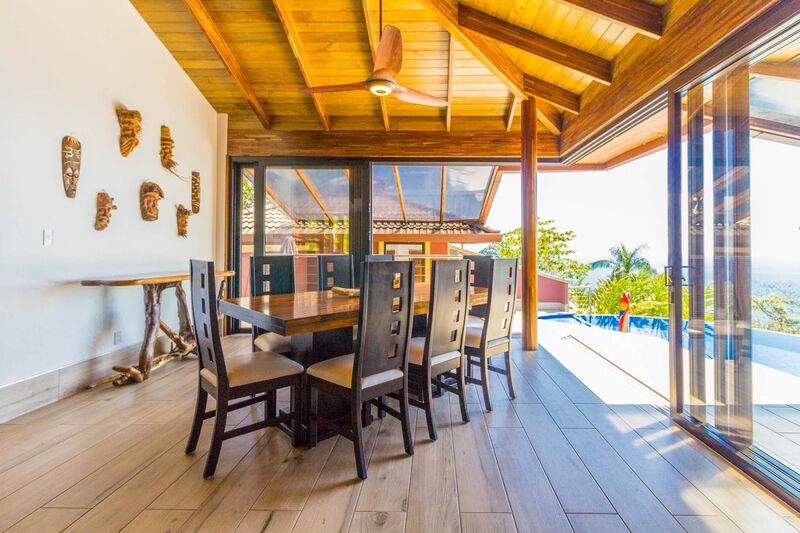 The patio doors off the dining area open wide to let the indoor living space flow seamlessly into the outdoor living space, with a seating area, a full outdoor kitchen, and, of course, the amazing saltwater pool! 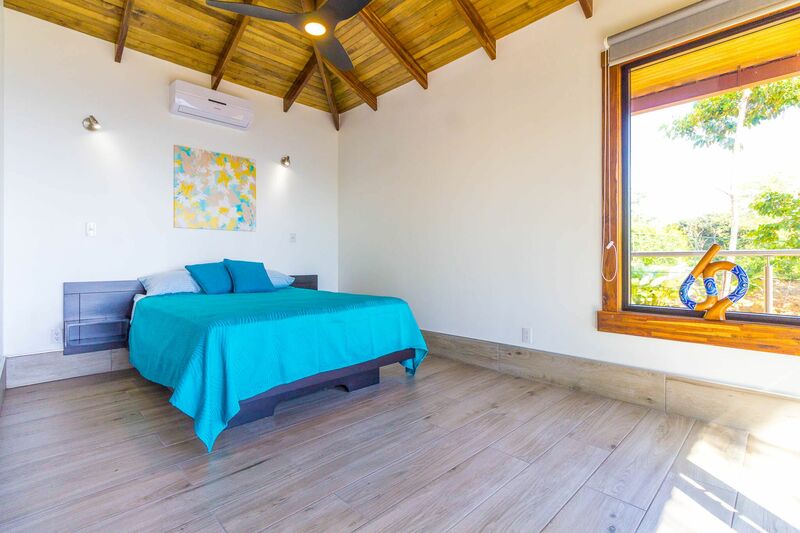 There are three full individual bedroom suites off the main area, each with beautiful floor-to-ceiling glass walls so that you can enjoy the view no matter which room you’re in! 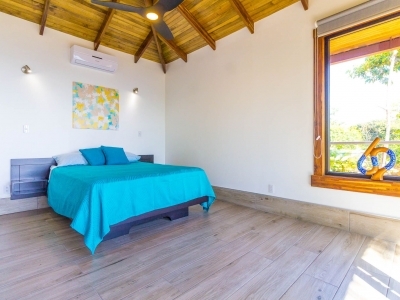 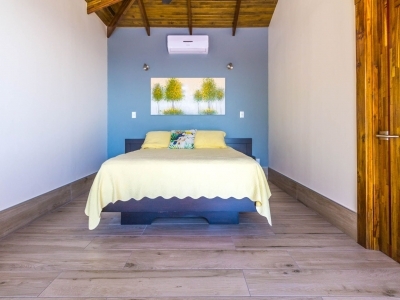 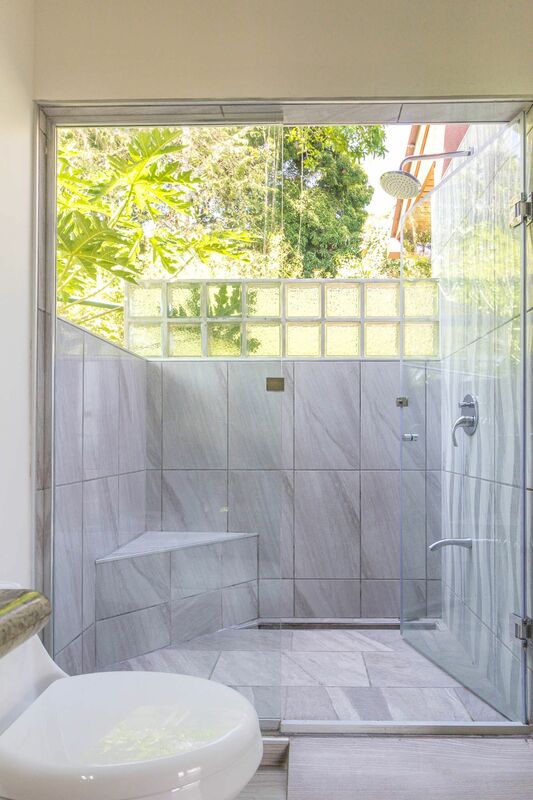 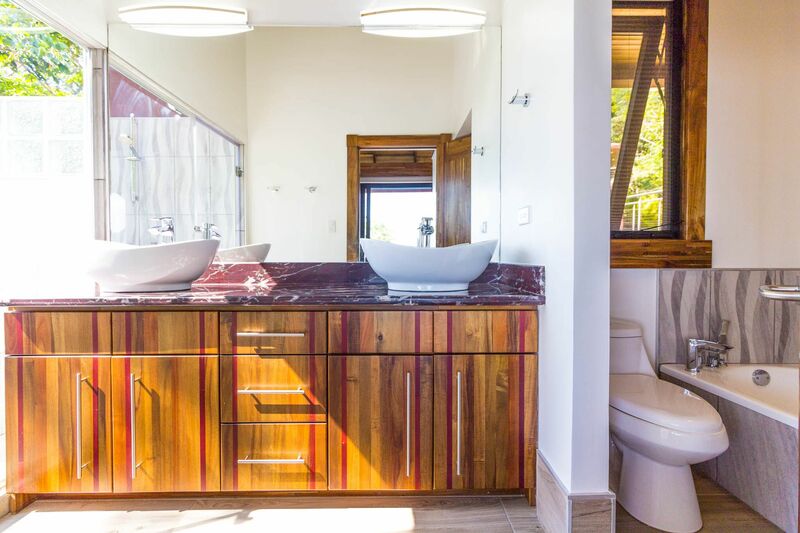 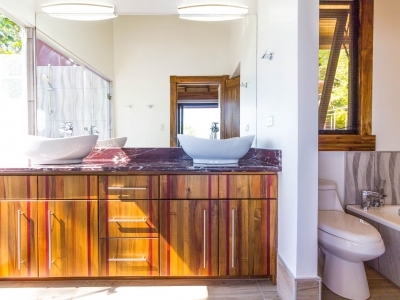 The comfortable, spacious bedrooms are each their own individual cabina with ensuite bathrooms, including gorgeous, private outdoor showers, marble countertops, and ceramic basin sinks. 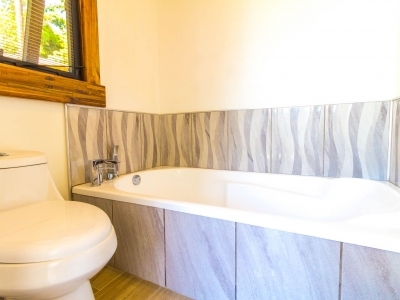 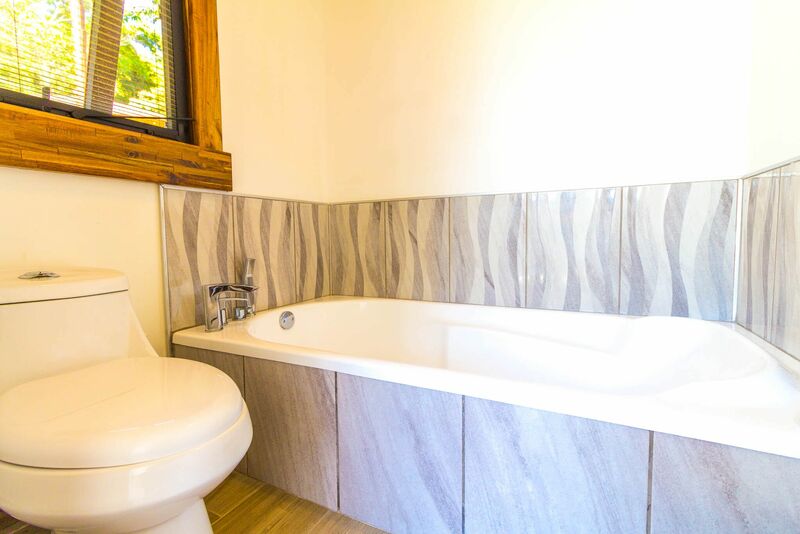 The master bathroom also includes a luxurious soaking bathtub. 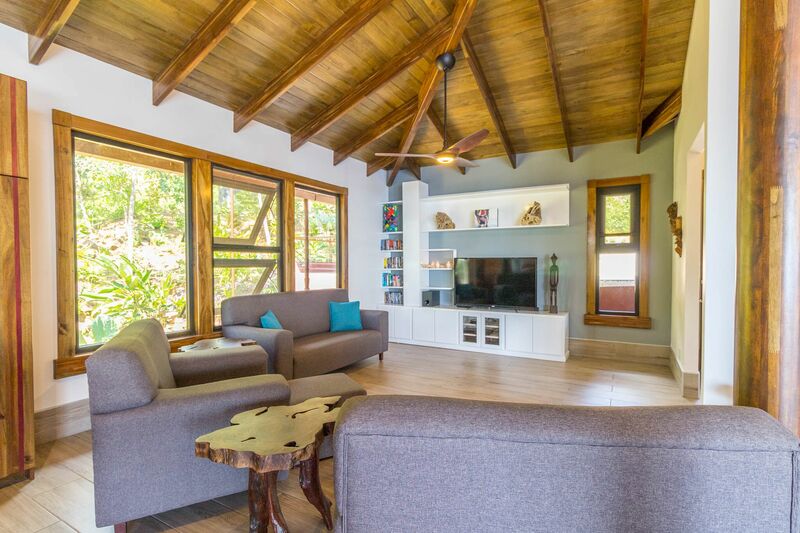 Two bedrooms are just off the main area of the house and are just steps to the pool, while the third bedroom is across a charming walk bridge on a more private part of the property. 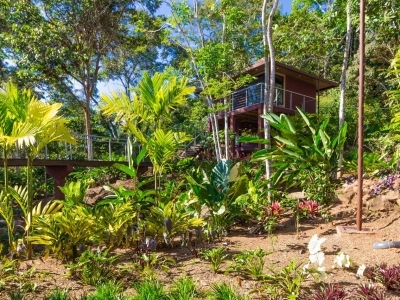 Look down and watch the river that runs through the property in low season, stunning! 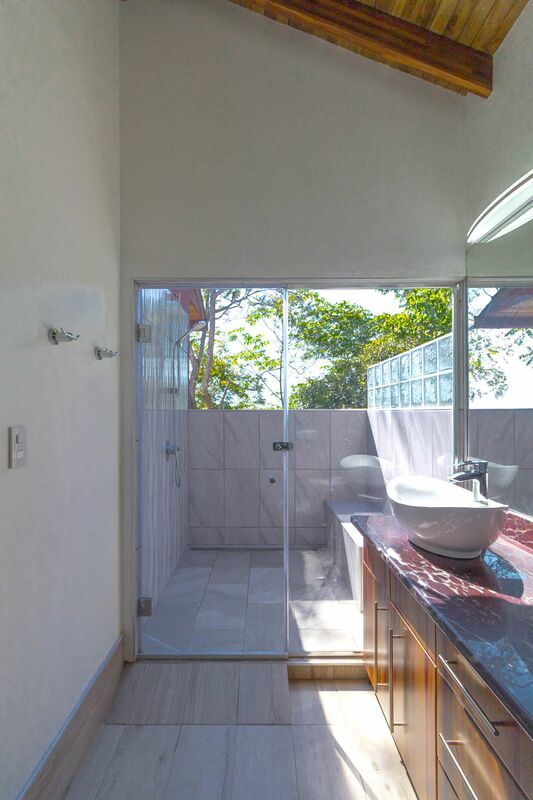 The attention to detail and design in this house is amazing. 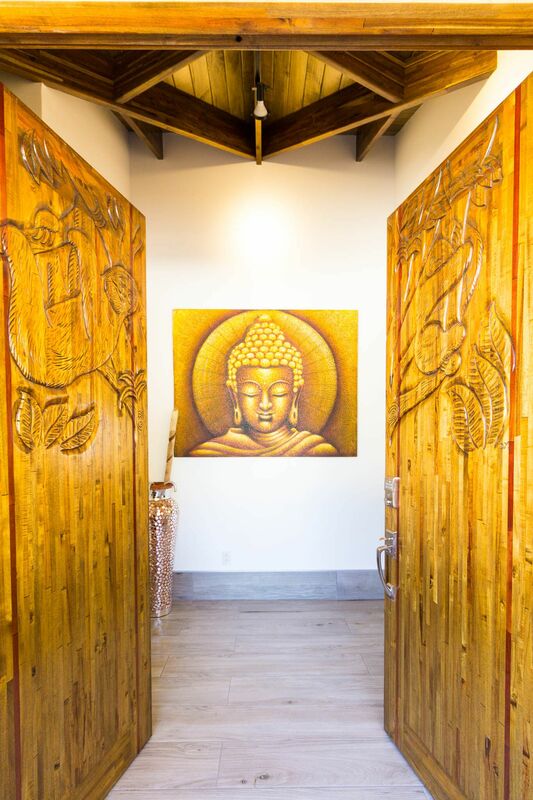 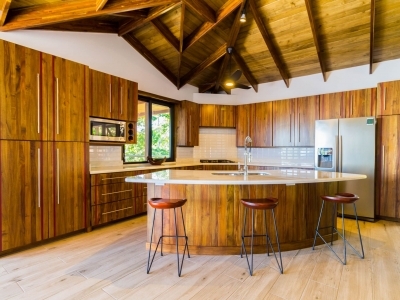 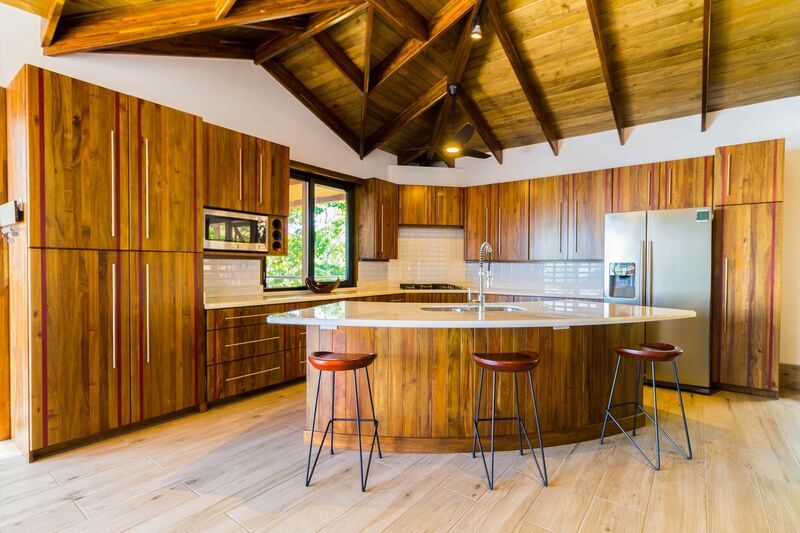 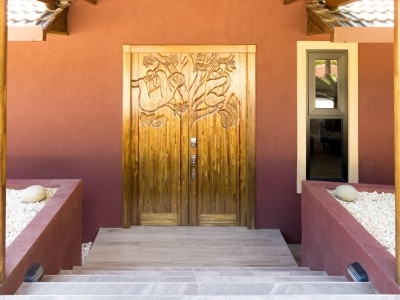 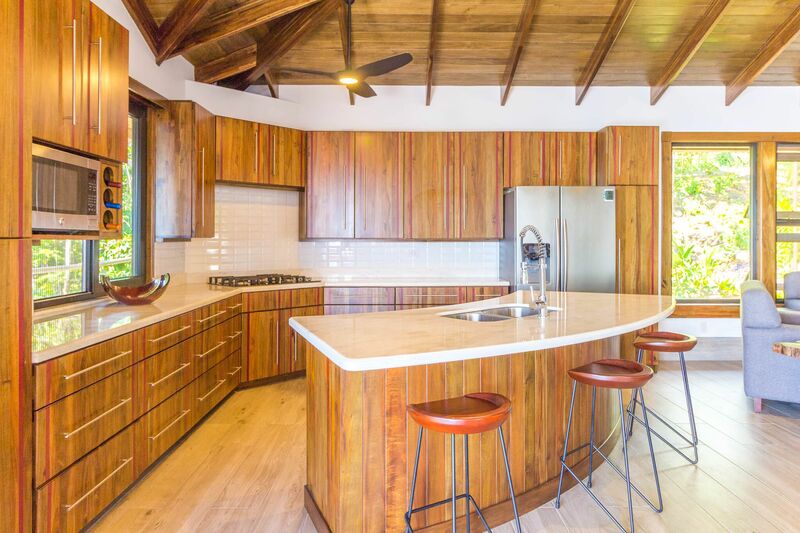 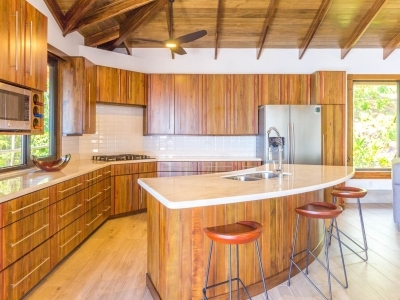 There is beautiful custom woodwork throughout the house, with teak stairs and walkways and acacia cabinetry, furniture, and beams throughout the house, with purpleheart wood accents. 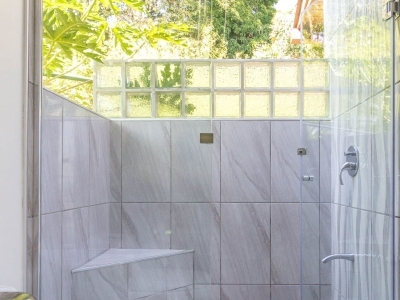 The accordion screens and telescoping patio doors offer maximum flow throughout the house. 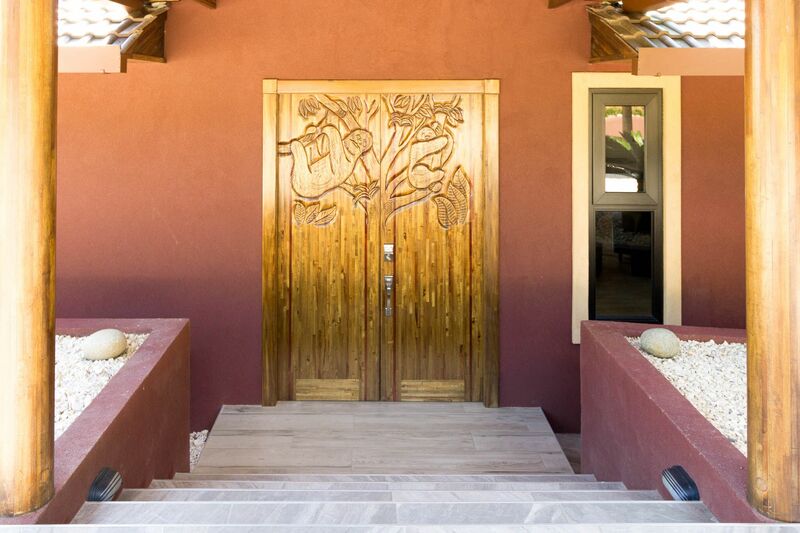 Inset lights on the stairs and walkways give a soft glow at night. 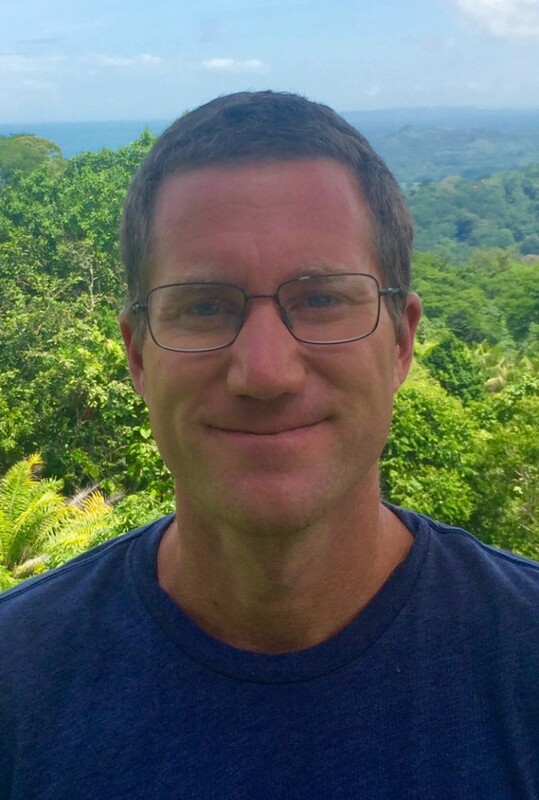 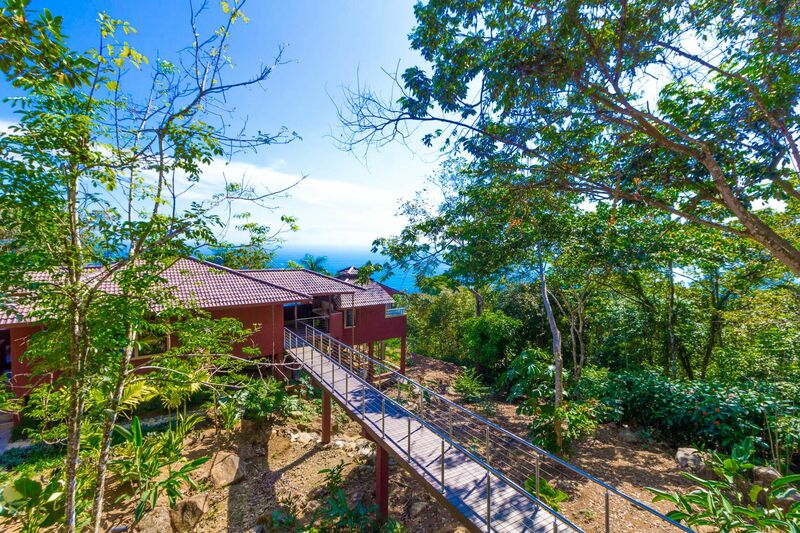 The fully fenced, .6-acre property is beautifully landscaped, and monkeys, toucans, and sloths regularly visit the property! 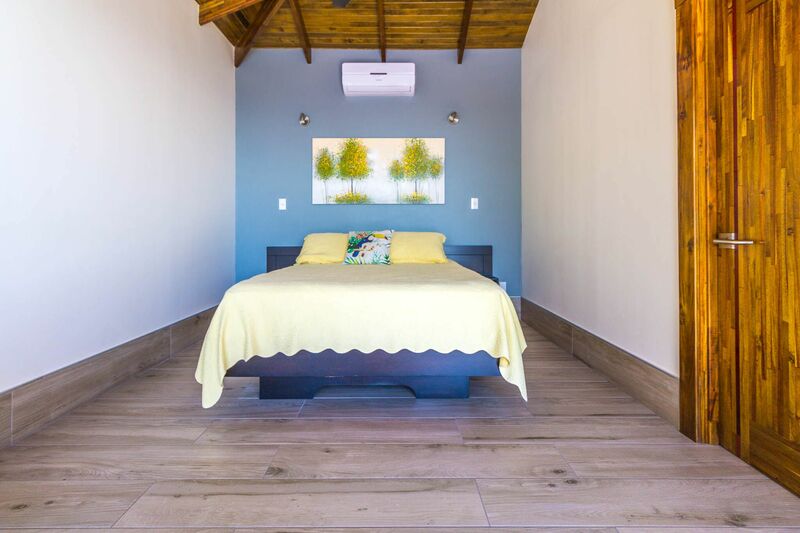 With high-speed Internet, abundant storage, a dry room, and is conveniently located just a few minutes from the main highway in the prestigious Escaleras neighborhood. 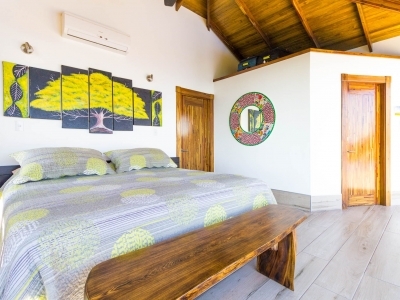 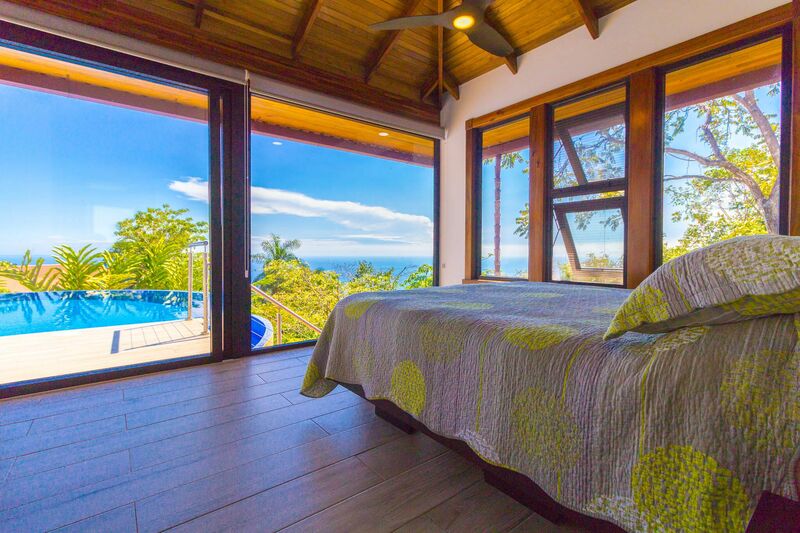 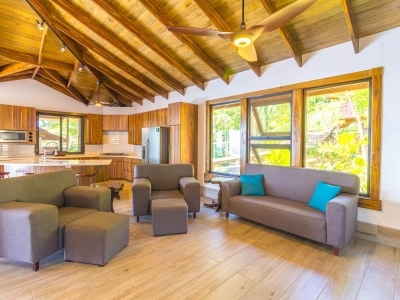 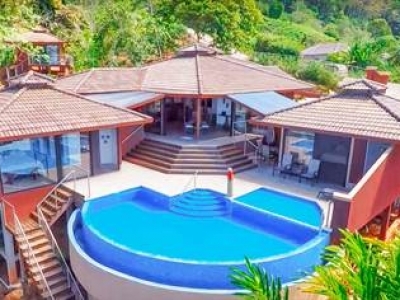 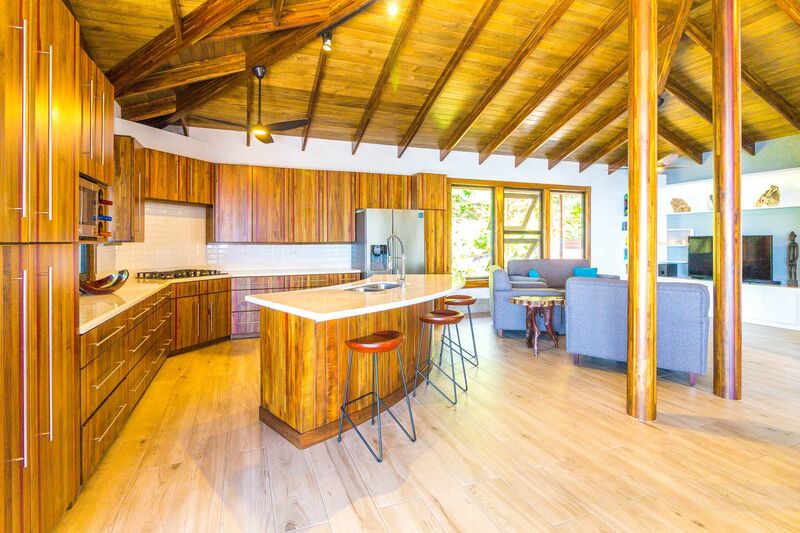 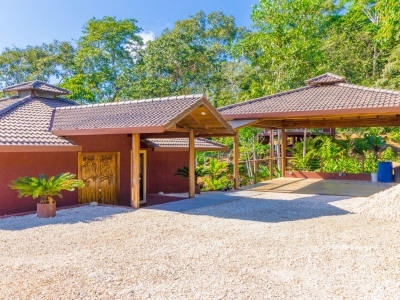 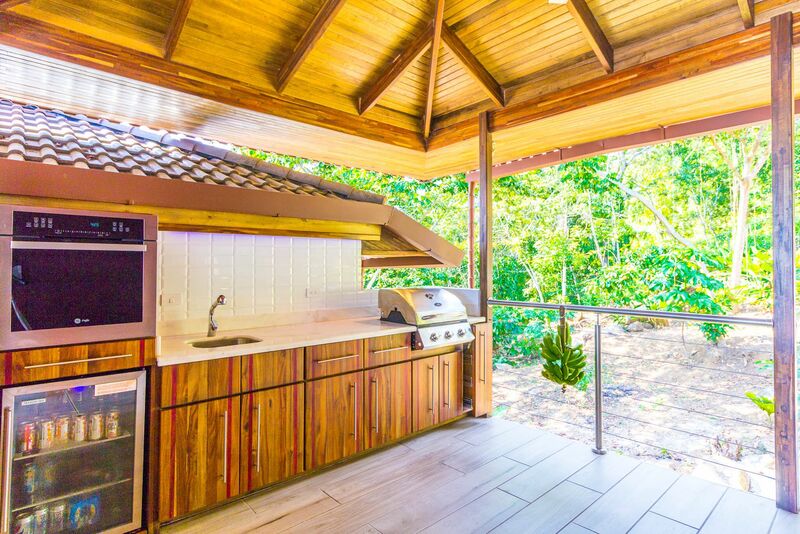 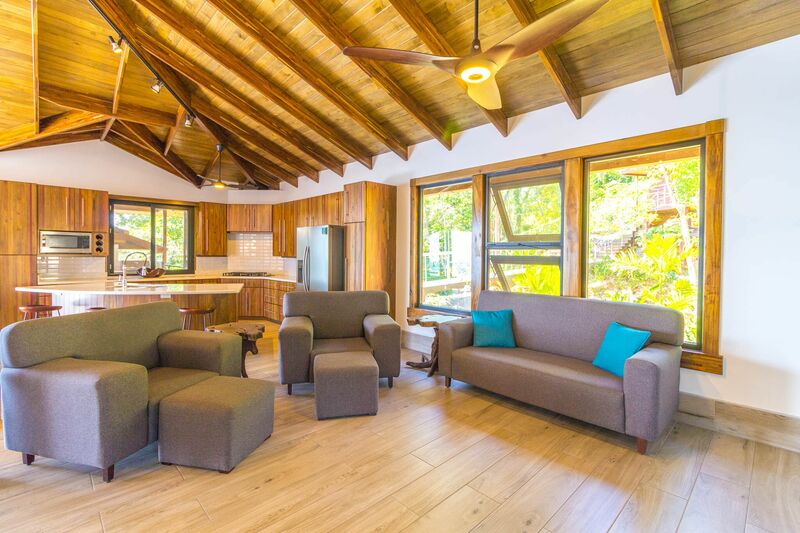 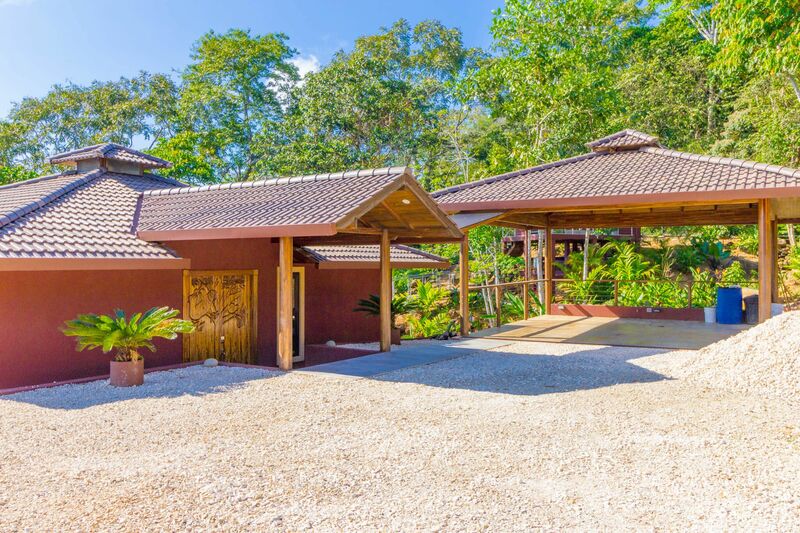 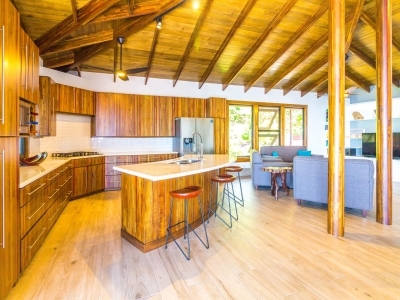 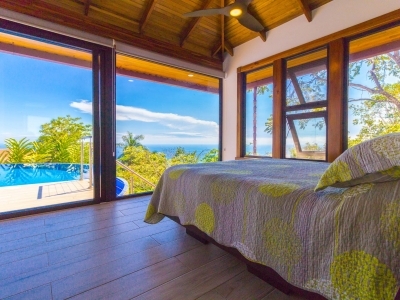 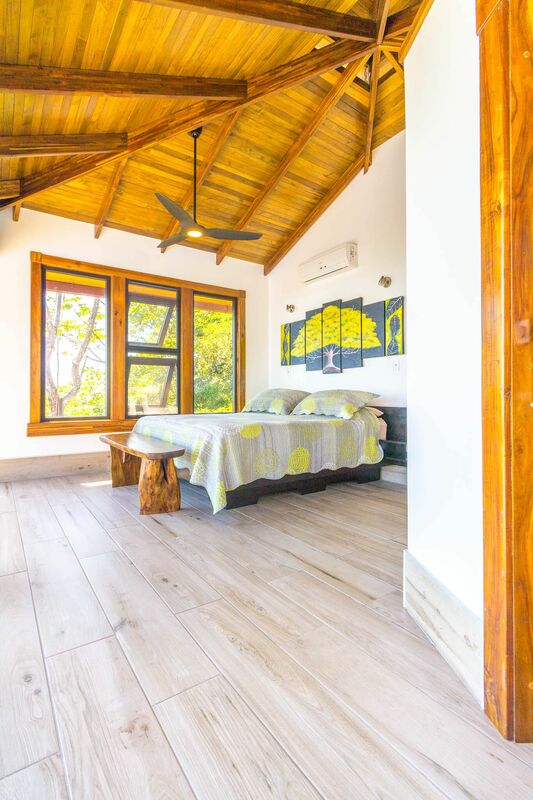 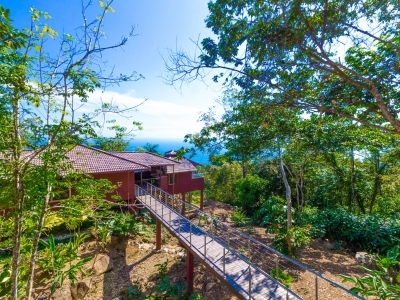 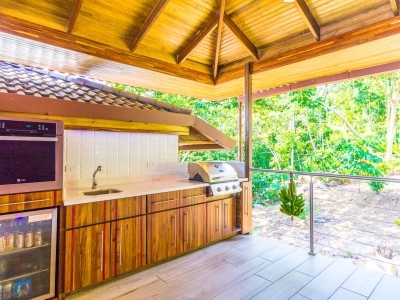 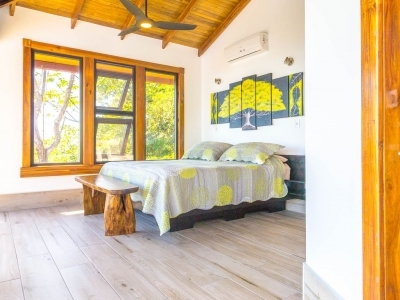 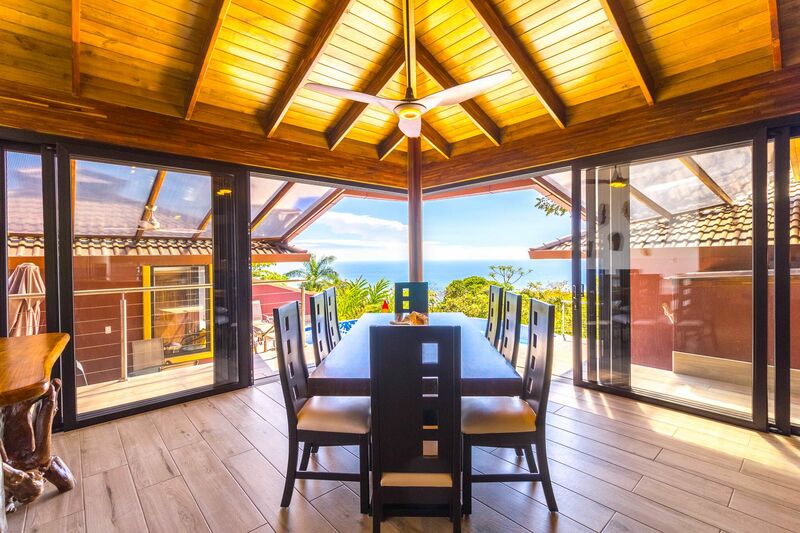 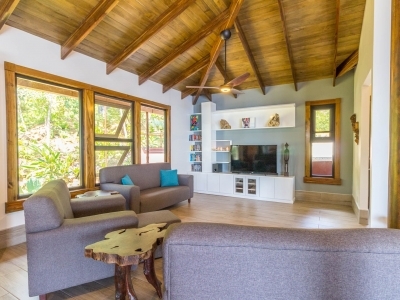 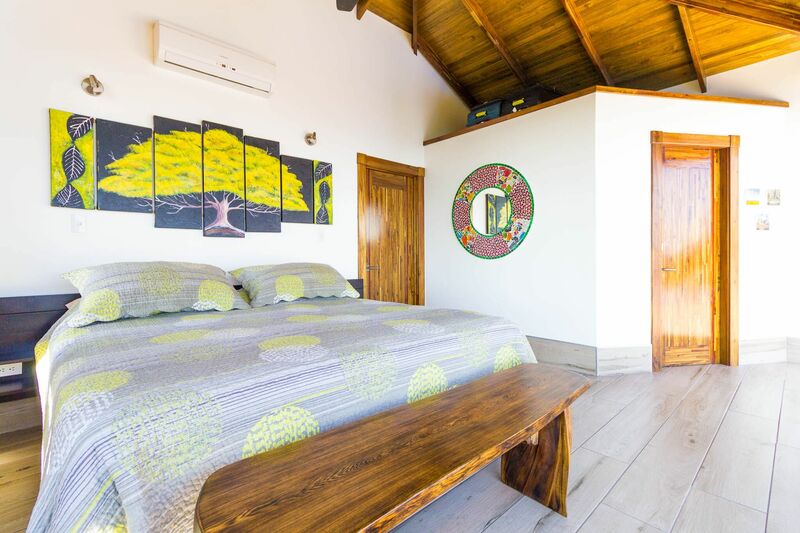 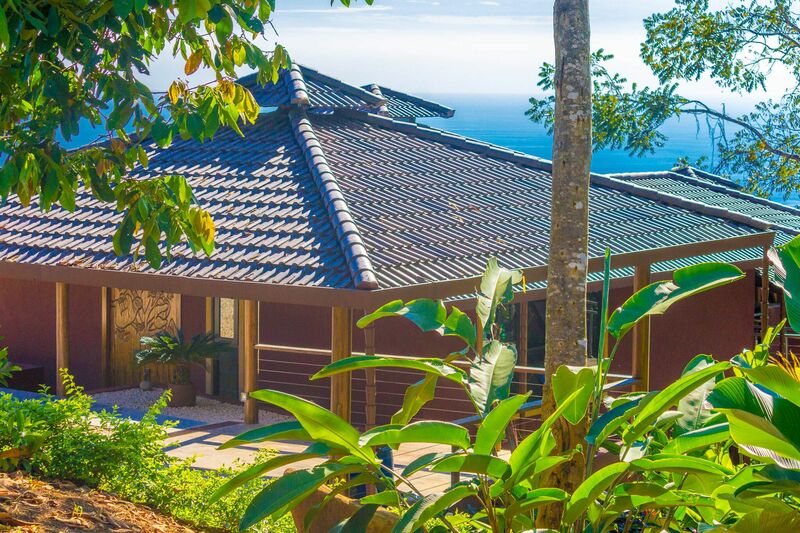 Close to Dominical and Uvita, everything you need is just minutes away, while you get to enjoy the peace and tranquility of this beautiful home! 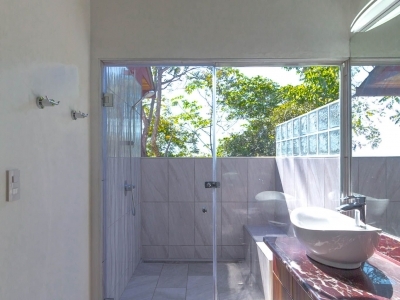 It is an oasis, but with all the modern conveniences you desire! 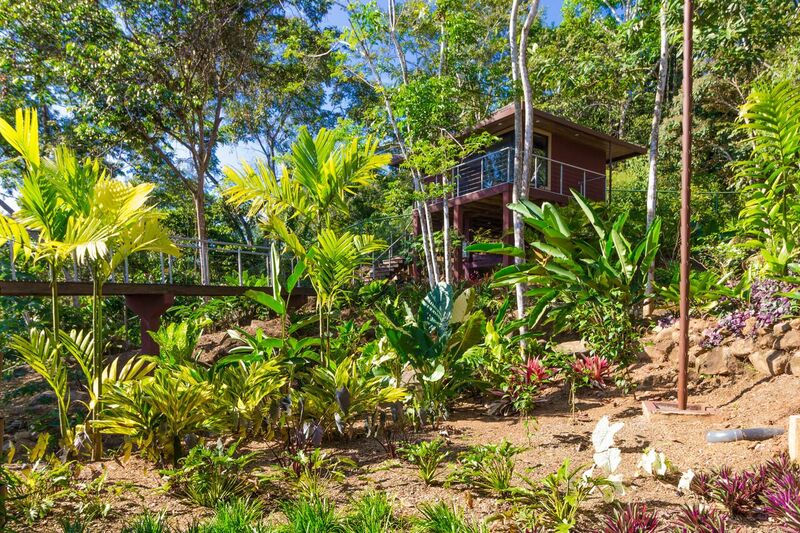 Words cannot fully describe the magic of this property. 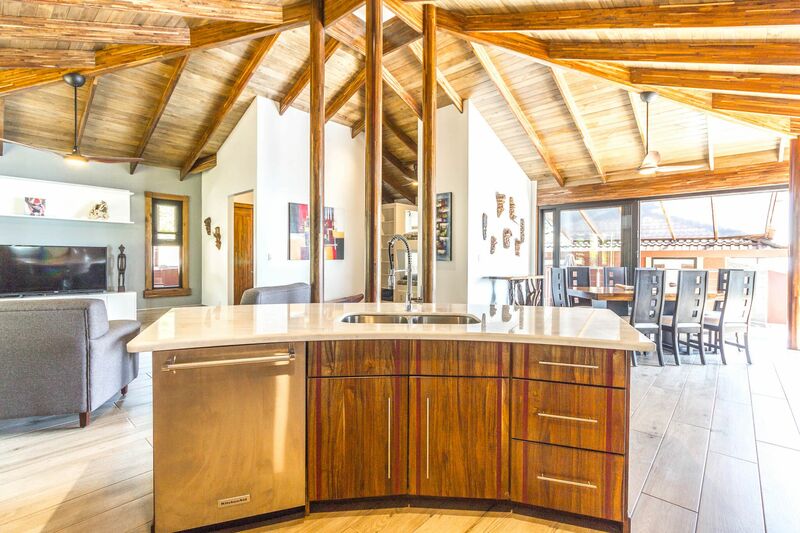 You have to see it in person to appreciate all of the beautiful details of this home! 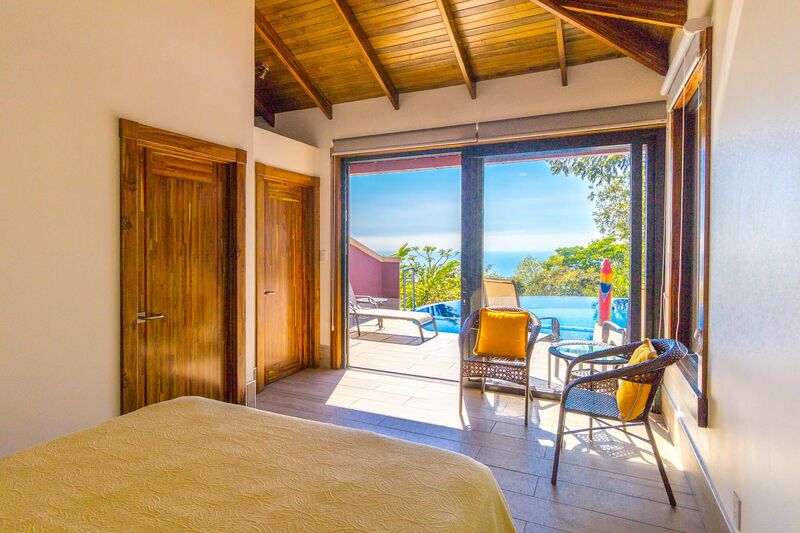 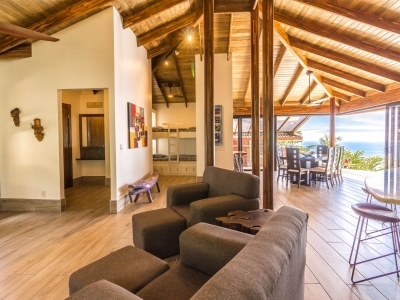 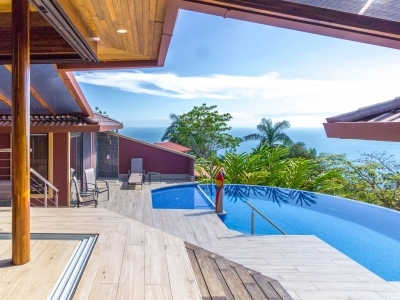 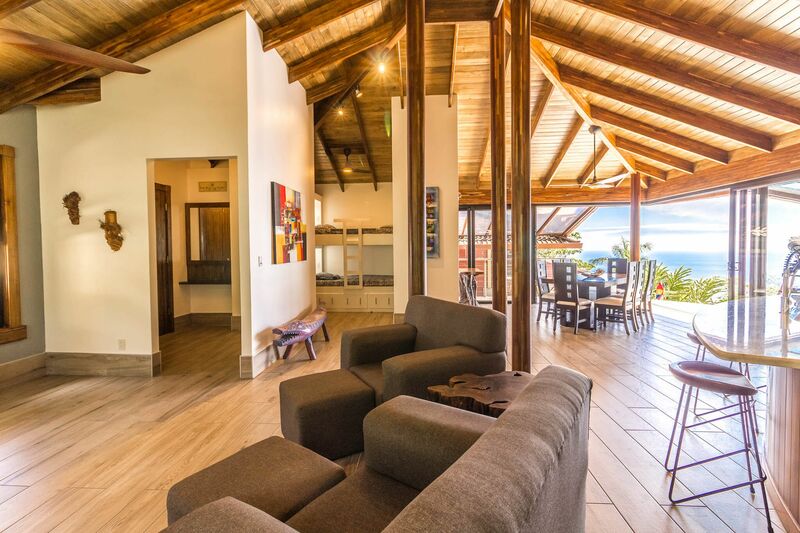 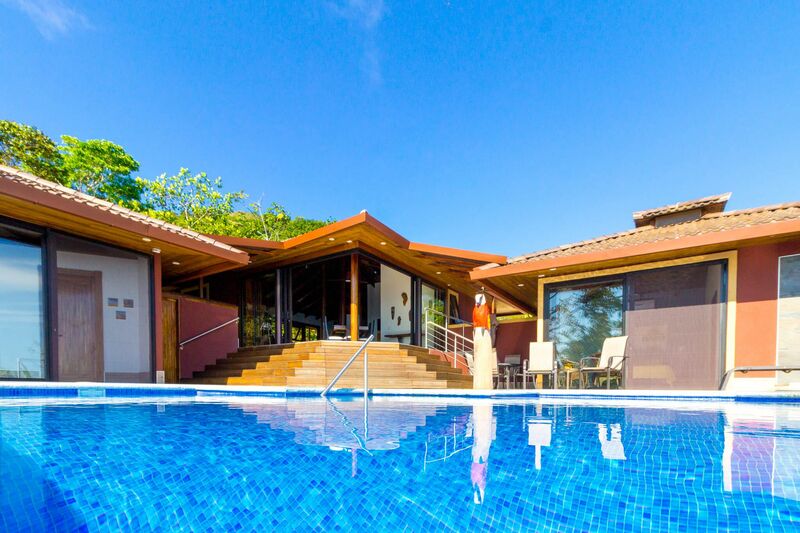 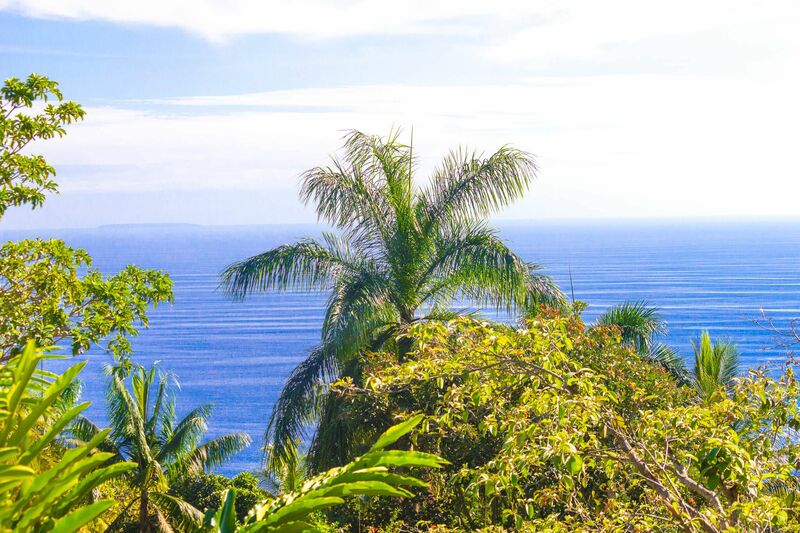 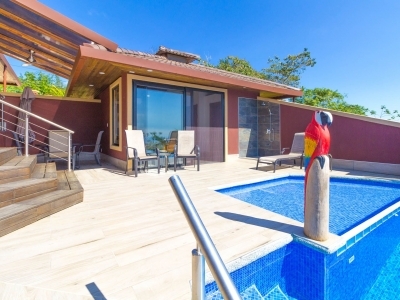 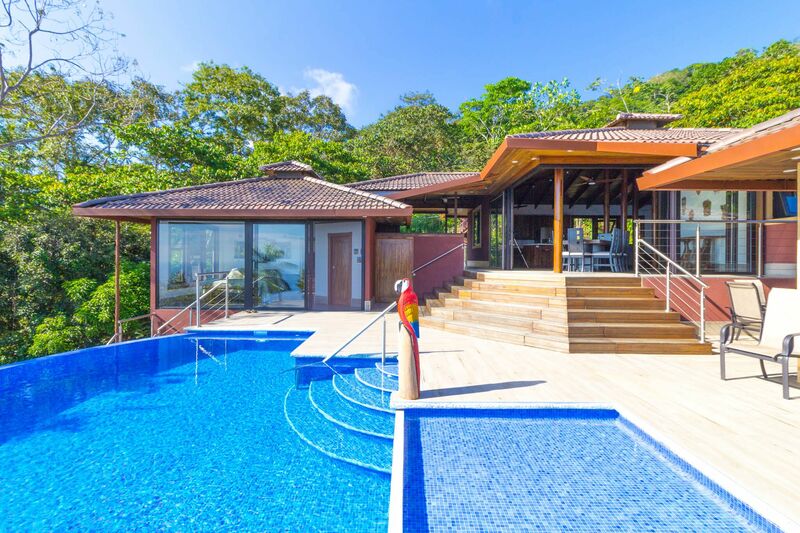 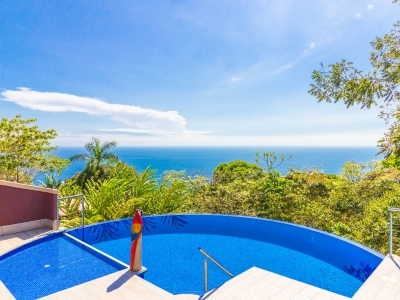 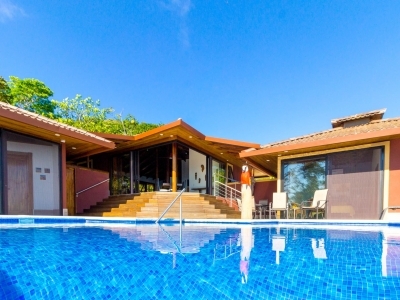 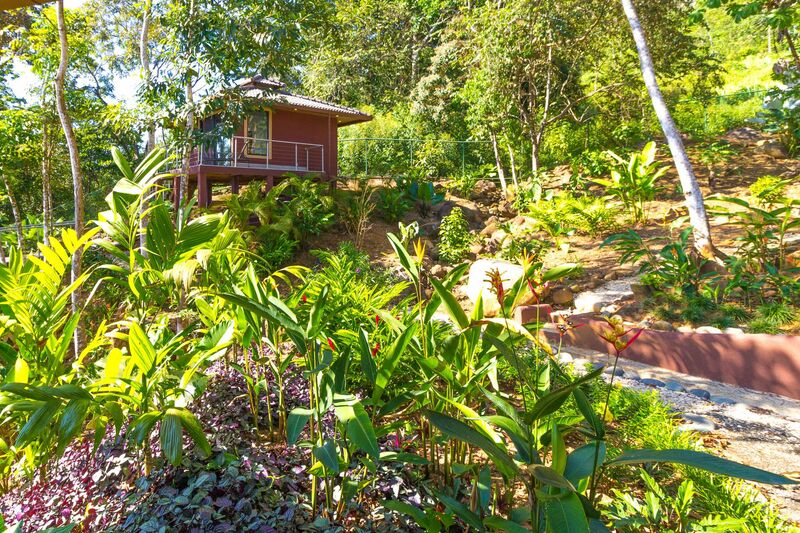 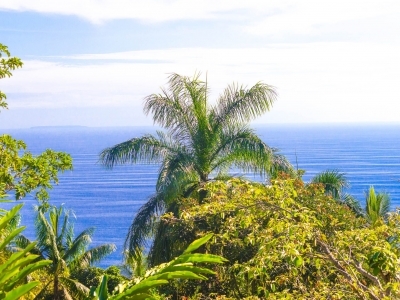 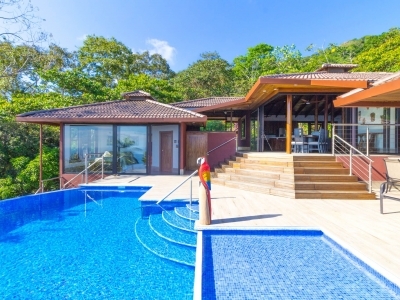 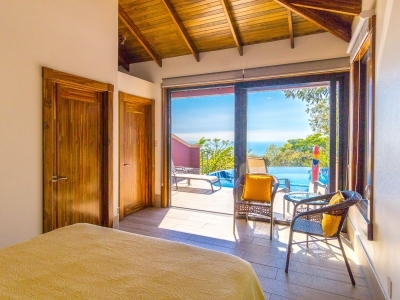 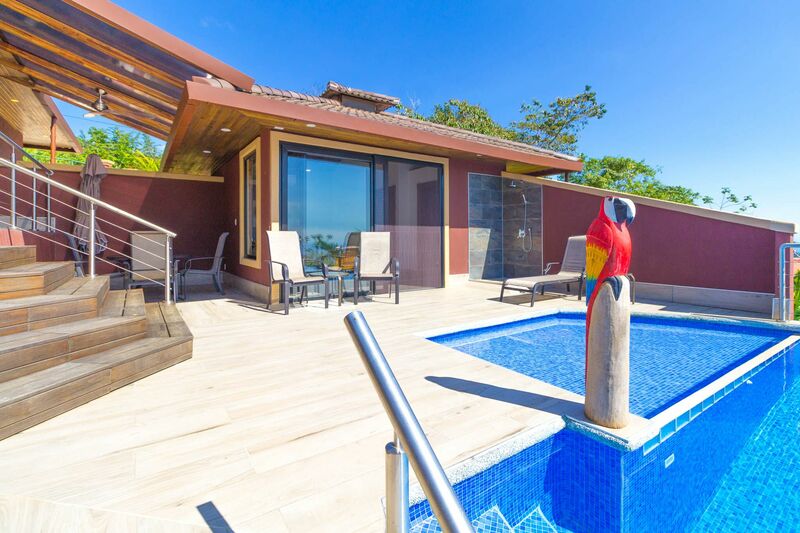 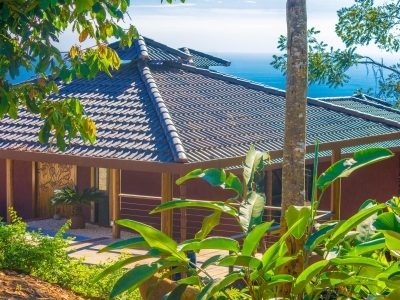 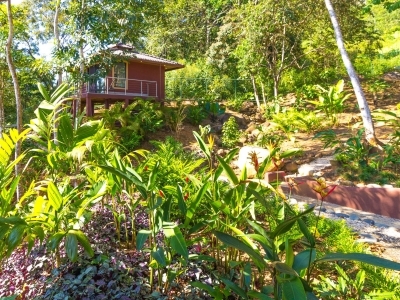 Contact us today to see it in person, and start living your Costa Rica dream!